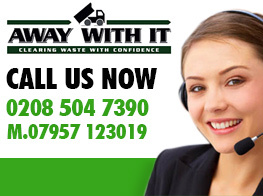 Are you looking for dependable and cost effective business waste services? We can help. 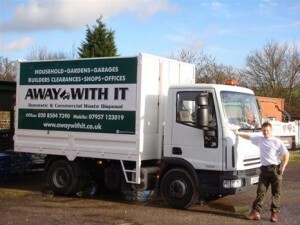 Away With It has been supplying commercial waste removal Manor Park businesses trust and recommend for more than 10 years. 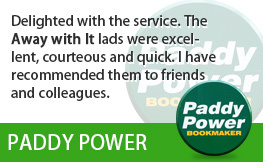 They love our fast, flexible and reliable services and low prices. 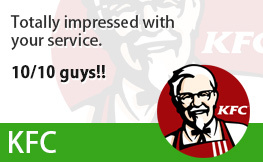 And we’re sure you will too. 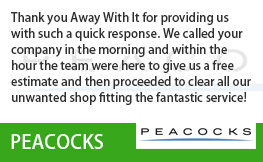 And we can help yours too – whatever business you have in the Manor Park E12 area. 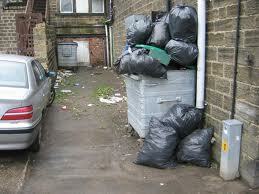 We can remove a wide variety of commercial waste products. Whatever type of business you have, we can provide the perfect solution for your needs. Whether you need regular kerbside collections or prefer to use our same day on demand wait and load service we’ve got you covered! We are dedicated to helping the environment – that’s why 80% of the commercial waste we collect is reused or recycled. 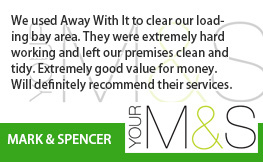 To discuss your requirements for commercial waste removal Manor Park with a member of our experienced team give us a call on 0208 504 7390 or 07957 123019. We’re here to take your call seven days a week from 7am to 11.30pm. 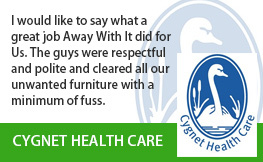 We’ll be more than happy to put together a tailored package to suit your needs and budget. And we’ll provide a fully inclusive competitive quote. 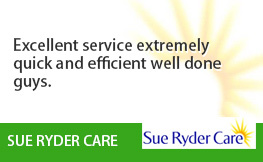 Alternatively make use of our online form to get a quick quote in no time at all.